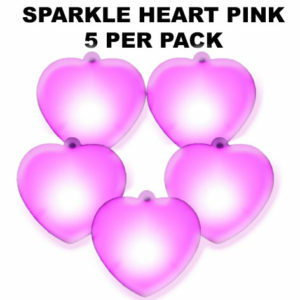 Sparkle Hearts are just beautiful, perfect for weddings, engagements, sweet 16th birthdays, Quinceanera’s, virtually any occasion. 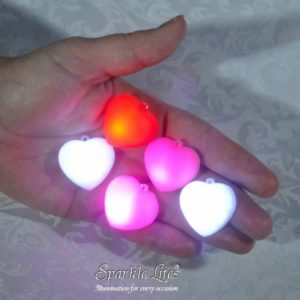 Sparkle Hearts come in white, pink, red & white with a Just Married print on them, they glow very slowly like a beating heart and they light up for more than 24 hours from the time you turn them on. 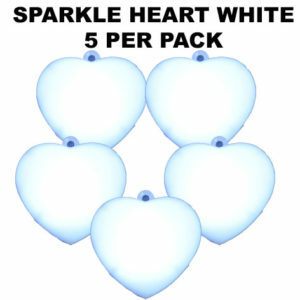 Sparkle Hearts look elegant day or night and as the lights go down the Sparkle Hearts illuminate elegantly. 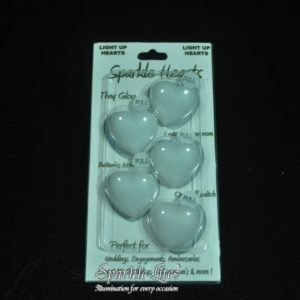 Sparkle Hearts have a switch on the back and a small round adhesive tape so that you can stick them onto decor pieces, vases, gift boxes, bonbonniere’s, they also stick gently to walls, almost anywhere. 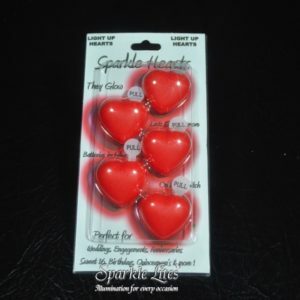 Sparkle Hearts have a tiny loop at the top so you can thread ribbon, or thin line through and hang them onto anything, you can even wear them a Sparkle Heart as a necklace. 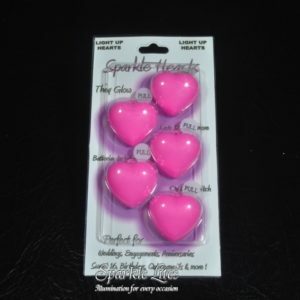 We are very proud of Sparkle Hearts, we know you will love them and at less than $3 each, they are incredible value for money and yet an elegant addition to any wedding or function, the slow glow is subtle, they are beautiful. 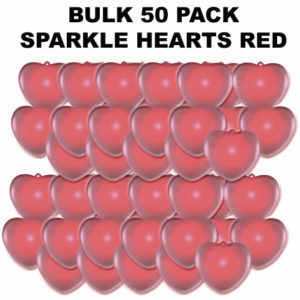 Viewing the Sparkle Hearts video to the left will give you a better understanding of how they work and how small and beautiful they are. 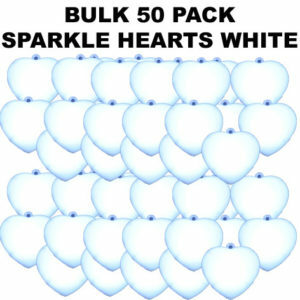 Whether you are wanting to scatter them on the tables of the guests at your wedding, engagement or birthday celebration, or incorporate them in your decor or even stick them to gift boxes, these are just some of the ideas in using Sparkle Hearts. 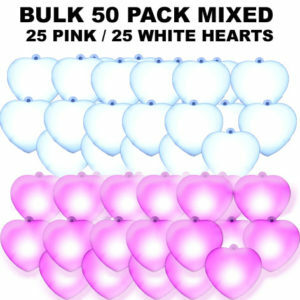 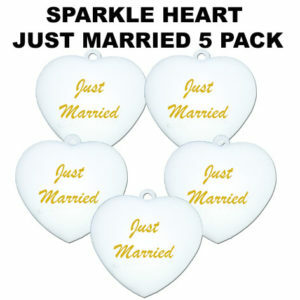 At less than $3 each, they contain their own batteries, last more than 24 hours from time of activation, they are available in white, pink, red and a white printed just married heart, the only decision is how many you will need. 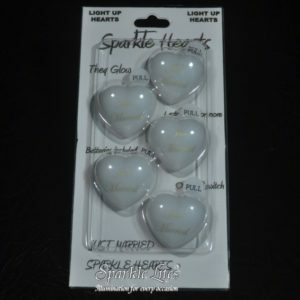 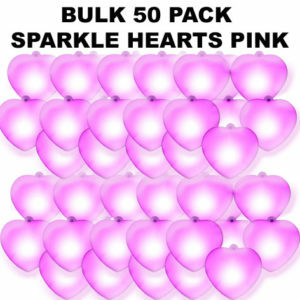 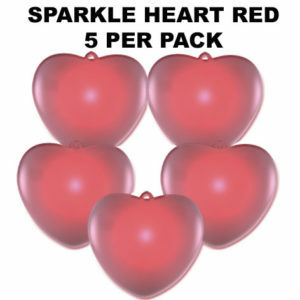 Sparkle Hearts are not available in retail stores, they are a brand new product of Sparkle Lites®. 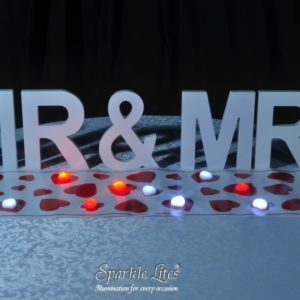 We hope that we inspire you with the video and give you a better understanding of them to enhance your special day.